The ongoing dispute over the Trump administration’s cancellation of a plan to move the FBI headquarters to the Washington suburbs deepened on Friday when five Democratic House members released emails that appear to challenge White House claims that keeping the FBI offices in downtown Washington helps taxpayers. 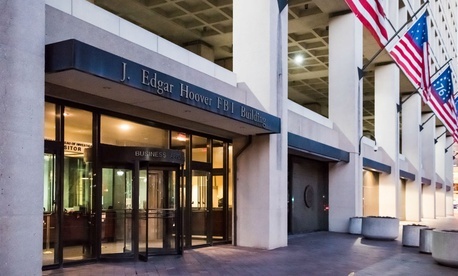 “By blocking competitors from purchasing the existing FBI headquarters property across the street from the Trump Hotel on Pennsylvania Avenue, White House officials had already warned internally that the president’s plan would cost the American taxpayers millions of dollars more—and accommodate thousands fewer—than the longstanding plan to move the FBI headquarters to a new suburban campus,” said the letter from Reps. Elijah Cummings, D-Md; Gerry Connolly, D-Va.; Dina Titus, D-Nev.; Mike Quigley, D-Ill.; and Peter DeFazio, D-Ore. The same group of Democrats has also challenged General Services Administrator Emily Murphy’s accounts of whether the White House directed her agency’s handling of the FBI headquarters project, which has been of keen interest to House members and senators from the Washington area. All five signatories are ranking members on congressional oversight committees and would be in a stronger position to chase down the story behind Trump changes in FBI headquarters policy if Democrats take control of the House in next week’s elections. A newly released email also suggests that cost problems of the Trump approach were clear to the White House and GSA staff as they prepared to field questions from Congress. The “hardest-hitting FBI HQ question” that Murphy would face, as the lawmakers’ letter summarized a Feb. 13, 2018, email, is built around the fact that, compared with the cancelled plan for relocating to a new suburban campus, the Trump plan “proposes a less secure facility” and “has a higher per seat cost,” while not accounting for “additional associated with moving FBI employees to other locations outside” the national capital region or enabling “the federal government to realize the proceeds associated with disposing of” the aging J. Edgar Hoover building. “How is this a good deal for FBI or taxpayers?” asked the email’s author, Office of Management and Budget Deputy Associate Director Andrew Abrams, writing to GSA deputy Brennan Hart. “This email confirms that the White House knew internally what the inspector general would not report until months later—the fact that suddenly abandoning the relocation plan in favor of the renovation plan would cost the American taxpayers hundreds of millions of dollars more while housing far fewer employees,” the lawmakers wrote. The Democrats also disputed Sanders’ statement that the FBI favors remaining at the existing headquarters site, citing Director Christopher Wray’s ambivalent statements. The letter to Kelly requested an array of related documents and a timeline on the FBI headquarters decision-making process by Nov. 15. GSA has maintained that Administrator Murphy has been accurate in her statements and testimony on both the FBI’s wishes, its cost analysis of the project and its denial of any awareness of White House involvement. The White House did not respond to Government Executive inquiries by publication time.